Camping with your pooch is like sleeping with a body pillow — at least it is with my four-legged companion. The hard part can be planning for the extra mouth to feed, but in some cases it's finding a dog friendly retreat. That’s why camping is the answer. 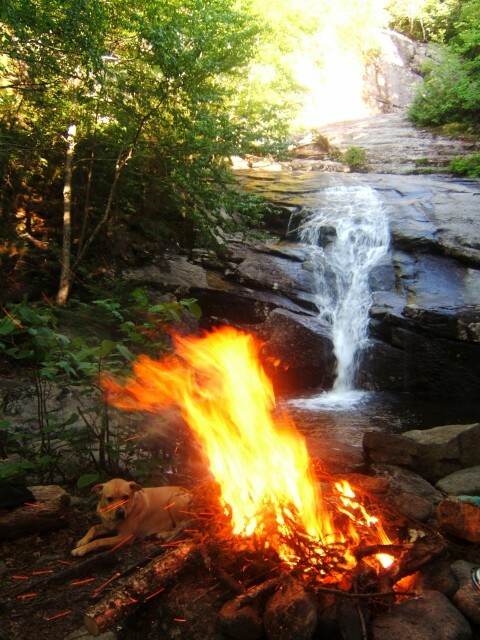 The Whiteface Region is a great option for dog friendly camping and is ever-so-close to the High Peaks and a plethora of other hiking, paddling, and outdoor recreation options. Take a gander below for a few options on where you and your canine can rest your weary heads. This campground can be found off Silver Lake Road just 10 minutes from the four corners in Wilmington. Let this backwoods, dirt road retreat place you miles from the public mainstream. You can choose a designated open site on the back part of the pond, or the mainland campground. Canoes and rowboats can be rented for those of you who wish to travel light. The 813-acre pond is 4 miles long, so it's more of a lake, wouldn’t you say? Surrounded by more than 8,000 acres of Wild Forest state land, the campground has a remote setting with basic services and limited facilities. Camping here ranges from small tents to 30-foot RV sites. Recreational opportunities include picnicking, boating, fishing, hiking, and nature observation. Loons, osprey, eagles, and many other fauna and flora can be observed in the area. There are 30 sites total: 25 drive-in sites and five boat-access-only Interior sites, three of which have lean-tos. Essentially, this is a primitive campground where amenities are limited but the fun and seclusion are not. This unique campsite is located beside the Ausable River along Route 86. It accommodates fishermen looking to challenge the rapids in search of a great catch. Whiteface Mountain is on the other side of the river. It has a gondola ride to the summit with a great view that spans miles of mountains, lakes, and forests. Lake Placid and its many attractions is only 8 miles from this campground. 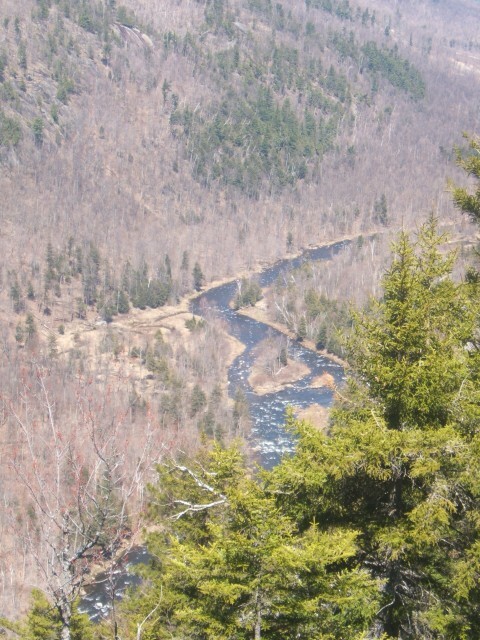 The campground is also perfectly situated for ease of access to hiking, paddling, fishing, scenic views, Ausable Chasm, High Falls Gorge, the High Peaks, and so much more. Camping is available on 54 campsites. There are hot showers, flush toilets, trailer dump station, recycling center, firewood sales, and a picnic area. Make reservations soon — this campsite fills up fast. With 70-plus acres of forest located right along the AuSable River; this campground is a true doggie paradise. They even have a doogie walk area! KOA has log cabins and cottages available, as well as RV and tent camping sites. There are tons of things to do here — with or without your pooch. Get in a round of mini-golf, swim in the heated pool, try some crafts in the crafts hall, rent a canoe and go on an adventure, or hike to the nearby Wilmington Flume. There are also lots of nightly activities for familes — including storytelling by the light of a campfire — along with a variety of other options. If winter is more your thing, book a cabin at KOA and you'll be right around the corner from Whiteface Mountain! 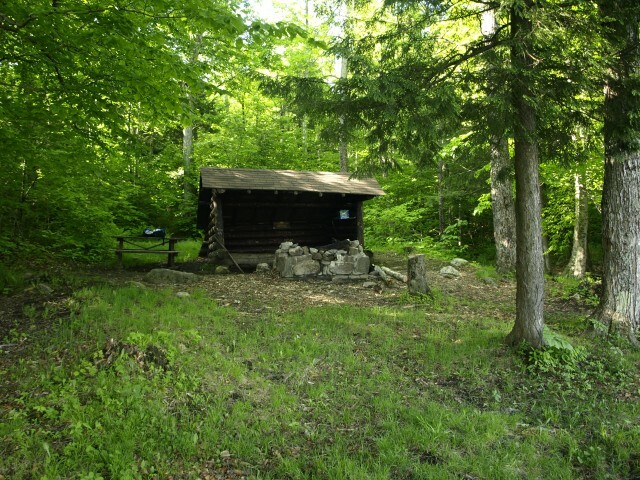 This family-run camping area is located on the banks of the AuSable River, at the base of Whiteface Mountain. The North Pole has a wide variety of accommodations, including tent or RV sites and camping cabins. The property also has fantastic amenities including two outdoor pools, two playgrounds, private trails for hiking and biking that connect to state trails, a general store and gift shop, 18 holes of mini-golf, free WiFi access, and boat rentals. North Pole Resorts is the perfect destination for your entire family, and its centralized location will gain you rapid access to the High Peaks and many other recreational opportunities to make your vacation a perfect one. 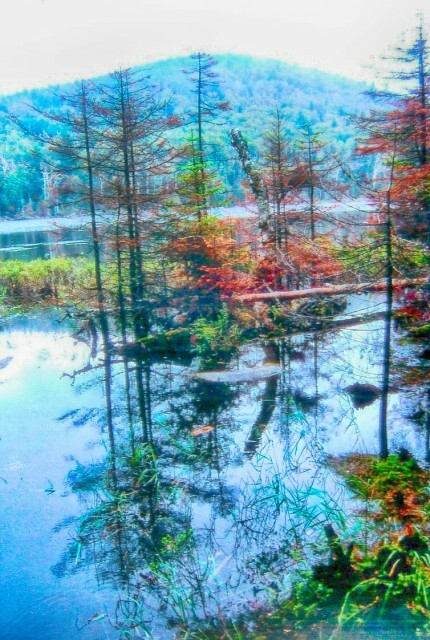 This backcountry gem of a pond is at least 2.7 miles from a main road along a moderately-graded, well-traveled trail. There is a lean-to located on the northeast side of the pond that has an outstanding view over the water toward wonderful sunsets. Located in a bowl-shaped depression at the base of Wilmington Peak, Morgan Mountain, and the Stephenson Range, you'll have ample opportunities for a bushwhack adventure to two of the 100-highest peaks in the Adirondacks. 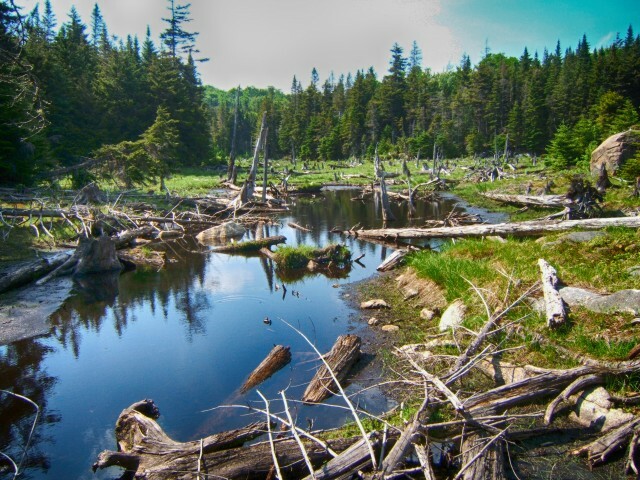 If you like to fish, Cooper Kiln Pond is an excellent location for native brook trout. This short hike of roughly a half-mile will gain you access to one of the premiere ponds in the area. Here you have the option of a scenic lean-to on the shore of a popular swimming hole destination, as well as a wonderful fishing opportunity. From here you also have the option of hiking a loop to two other scenic ponds, Owen and Winch (pictured below), where you can also toss a line in. Recreation and relaxation abound in the Whiteface Region! Spend a day at the beach, drop a line in the AuSable River, or check out an event.